Chelsea manager Jose Mourinho has insisted the club will not sell star defender David Luiz for any price. The versatile Brazil international has been linked with a big-money move to Barcelona but Mourinho is adamant the 26-year-old will not be leaving Stamford Bridge. Mourinho, who returned to the London club for a second spell this summer, told BT Sport: "No chance he is going to leave. He is a player we want to keep. "He is a player with four years (on his) contract, he just signed a contract last year. "We like him. He is an important player for the club and the club is not ready to sell him for any price." Luiz joined the Blues from Benfica in 2011 and signed a new five-year contract last September. There have been reports recently claiming Luiz has told the club of his desire to join Barca but Mourinho says he is not aware of that. He said: "I don't know if he said that. What I can say is that he is not going to. "The last quotes I read were Luiz saying he is not speaking about clubs when he is with the national team, which is a fantastic quote that I appreciate. "When they are with the national team they are national team players, they are not club players. "That is the last quote I have and it is an intelligent one." Chelsea have been linked with former Barca and Inter Milan striker Samuel Eto'o, who is reportedly available as his current club Anzhi Makhachkala cut costs. Eto'o won the Champions League under Mourinho at Inter before moving to the previously big-spending Russians. Mourinho said: "I am always happy that somebody that worked with me previously is happy to be back and work with me again. "That is a good feeling that I have, when I read something that Samuel is keen. "It is fantastic for us, but we are going to see what happens." Mourinho has warned it could take time to get his squad as he wants it. The Portuguese won two Premier League titles in his first spell at Stamford Bridge and now wants to build the foundations for greater long-term success. He said: "This team is not just for tomorrow. It is a team for many, many years, so if in this moment we don't have the perfect squad, that is not a problem. "We work and we improve and the challenge is to improve the boys and improve the team every day. "It is not a problem for us, we are not feeling this kind of pressure." Diego Costa has expressed his delight at signing a contract extension with Atletico Madrid in a move which dashes Liverpool's hopes of landing the forward. Brendan Rodgers conceded defeat in his pursuit of Costa over the weekend after learning that Costa had agreed a new deal to stay in the Spanish capital. Atletico have now confirmed that he has penned a three-year extension to keep him at the club until 2018. Liverpool had reportedly tried to activate the buy-out clause in Costa's contract and other clubs were believed to be monitoring his situation, but he is thrilled to have committed his future to Atletico. The Brazilian, who scored 20 goals last season, spent a couple of years with Atletico early in his career before returning to the club from Real Valladolid in 2010. "I am very happy with this deal after fighting for a long time to win the affection of the fans, my team-mates and people inside the club," he told the club's official website. "It is a very special moment and I am very happy here." Sports director Jose Luis Caminero said: "Costa is one of the key pieces in the team and it continues our policy of trying to maintain the group that have brought us so much success in recent years. Extending his contract was one of our objectives." 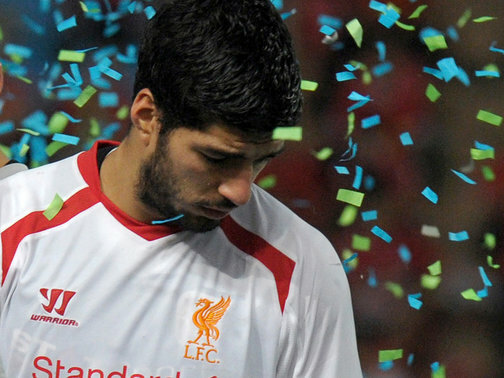 Luis Suarez has suggested he may be willing to stay at Liverpool and end his dispute with the club wednesday. Suarez had claimed that he had an agreement that he would be allowed to leave Liverpool if they failed to qualify for the Champions League. Arsenal have made two bids for the striker, and in the meantime Liverpool boss Brendan Rodgers has ordered Suarez to train alone and only return after he has apologised to his team-mates. But his desire to leave now appears to have changed. Suarez is currently away with Uruguay for their friendly in Japan and he was quoted in Uruguayan newspaper El Observador as saying he is willing to remain at Anfield because of the supporters. "For now, owing to all the affection of the people, I would be staying," he said. The newspaper goes on to suggest he may even extend his contract with the club. That would represent a remarkable U-turn from Suarez. In interviews with the Guardian and the Daily Telegraph, Suarez said: "Last year I had the opportunity to move to a big European club and I stayed on the understanding that if we failed to qualify for the Champions League the following season I'd be allowed to go. "I gave absolutely everything last season but it was not enough to give us a top-four finish - now all I want is for Liverpool to honour our agreement. "I don't feel betrayed (by Liverpool) but the club promised me something a year ago just as I promised them that I would stay and try everything possible to get us into the Champions League. "They gave me their word a year ago and now I want them to honour that. And it is not just something verbal with the coach but something that is written in the contract. I'm not going to another club to hurt Liverpool." He even threatened to take Liverpool to Premier League arbitration to secure his release. Suarez said last week: "I have the club's word and we have the written contract and we are happy to take this to the Premier League for them to decide the case but I do not want it to come to that. We have the backing of the PFA." But his latest comments suggest that the striker could well be staying which would be a huge boost for the club ahead of the new season. Speaking on Tuesday, Liverpool captain Steven Gerrard admits he is desperate for his Anfield team-mate to stay on Merseyside. "If I can use my influence to try to make him stay, I will try to do that," he told a press conference ahead of England's friendly against Scotland. "For Liverpool to move forward, it's important we keep our best players. "I really don't know what is going to happen with him but I'm really confident he won't be going to anyone else in England." Earlier in the week, Liverpool boss Brendan Rodgers stated there can be "no solution" to the stand-off with Suarez as long as the striker refuses to apologise. He told the club website: "It is something that we have to do everything we can to fix. "There has been a lot said and a lot reported, and we have made a stance, as a club and as a manager, of the commitment and the standards required. "If you don't have that commitment, and those standards, then you won't play. It's as simple as that. "If we have got to sit and wait, then so be it. But this is a club that has got great values, and we hope that the situation can be resolved amicably, and I am sure it will be. "There's no problem between me and him, it is quite calm. But obviously I have got to respect the club and the team. "It doesn't matter who you are, if they're not pulling their weight then they are letting down the club, the city and everyone who has stood by them. "So until I get that assurance that we are going to get nothing but 100% commitment, then there will be no solution." Reds defender Kolo Toure welcomed Suarez's apparent change of heart, telling Radio City: "It's great, we are all really happy. "We want him to stay because what he did last season for the team was amazing. He's a quality player. We need to keep all of our quality players." 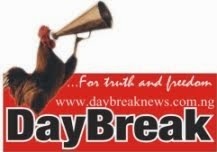 Also get the full interview with the Minister of Sports by our Sports Editor, Ojay Matthew in this week edition of DayBreak Newspaper.